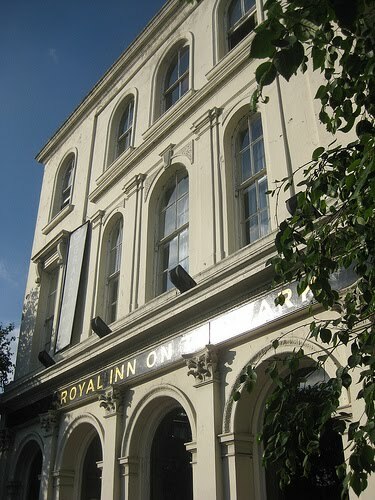 Previously most famous for being the site of the murder of James Alfred 'Jimmy' Moody, in 1993, nowadays the Royal Inn on the Park is a nice pub with a fantastic location right on the Northern edge of Victoria Park. The pub is technically in Tower Hamlets, after Victoria Park was transferred solely to the borough when it became too expensive for Hackney to manage any more. Nowadays, it acts as a magnet for all those who have spent a day in the park, especially in summer, and when the park hosts festivals, and can get busy on weekends.